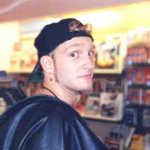 Home \ Layne tid bits..
Layne had a cat named “Yttik” which is kitty spelled back wards. He liked to make people laugh and he could be extremely silly at times and then at other times quiet and introverted… he was very down to earth..you never would of known he was famous or whatever unless of course you knew who he was. He didn’t dress in expensive clothes, drive expensive cars…he did buy a Harley Davidson at one point though. He didn’t act holier then thou and he was nice to his fans just as long as they were not annoying. But hey no one likes annoying people.. He would talk to people if they were respectful of his space and didn’t ask rude questions about his drug use etc.. That would piss him off. He never wanted people to think using drugs was something that he thought was cool. Some idiots would try to impress him in all the wrong ways but just as long as people didn’t act retarded or rude then he would be cool to his fans. Same with Demri. She didn’t hate groupies. I’d say she hated annoying people but not groupies in general. Demri loved people and she would make friends with everyone she met. Demri was bi-sexual and she loved to flirt with girls. She also loved to embarrass them if at all possible. She’d whisper something in their ear and you’d see their mouth just drop open and you’d be like OMG Demri what did you say to her? It was always something overly sexual and wild and the girl was usually three shades of pink. So in that way Demri and Layne were the same..they loved to shock people. Get a reaction out of someone wether it be laughter or shock. Both of them were pretty hilarious, together they were pretty funny too and cute. Alice In Chains drummer Sean Kinney told Greg Prato in the book Grunge Is Dead: The Oral History of Seattle Rock Music that Staley had long resigned himself to an early grave: “Layne told me straight up, ‘I’m never coming back. I’m not going to quit doing drugs. I’m going to die like this—this is it.’” For years, Kinney had tried reaching out to Staley three times a week, either by phone or, when he was in town, yelling at the window of his nondescript Seattle condo. But Staley wouldn’t see or talk to his bandmate. At the time of his death in 2002, neither Kinney nor AIC guitarist Jerry Cantrell had spoken to Staley for more than two years. The day of his death was estimated to be April 5, exactly eight years after Cobain’s suicide. Staley’s method of killing himself was slower and more painful, but ultimately no less effective. A stiff cocktail of drugs composed of cocaine, codeine, and morphine was rattling around his ravaged, 86-pound frame. A syringe loaded with a fresh supply of heroin sat in his hand; a used needle lay at his feet. Two crack pipes were waiting on his coffee table, and several more used needles were uncovered when his body was moved. Staley wasn’t the sort to hedge his bets when it came to calling his own drug-related death. Those that knew Staley personally seem to agree that he more or less died in spirit when his long-time girlfriend, Demri Parrott, succumbed to bacterial endocarditis stemming from her own drug use in October 1996. Staley and Parrott were no longer together when she died; because she lacked Staley’s rock-star bank account, Parrott was reduced to living out a conventional junkie death, finally prostituting herself in order to score drug money. But the loss still crushed him. Missing him terribly and sickly!!! So, so grateful for this site. I (41yo) hope it continues to live on because my little sister (17 now) and all of her friends JUST started understanding the magic talent and passion of Alice in Chains; specifically Layne. You’d think it was a current band the way she’s finally followed my lead. Haha she’s trying to find more LEGIT info, so thank you so much for this! I mat get…. I don’t know……old for you all at times, but you’ve signed up for a very, very special job that as hard as those times were at the end, we all wish we had had. Again, big thanks! Hello, I met your blog today and I’m enjoying it. Very cool your initiative !! I have a question: why exactly Layne and Demri ended? There are several rumors but all seem liars. Thank you. Gone but not forgotten. Thanks for setting a new paradigm for rock vocals. Thanks for the riveting, bone-chilling music. Thanks for the inspiration you continually give through your legacy and spirit. I watched my 3 yr old son watch you, pick up his guitar and sing along on rooster (unplugged). I am always amazed at the effect your gifts had on so many. See you on the other side. Some pictures from the “Get Born Again” and “Died” recording sessions have surfaced publically on a site I sometimes browse called Grunge Report. They are photos shared by Bryan Carlstrom. I think he had shared them awhile ago, but this is the first time I’ve ever seen them. They are pretty cool studio photos, and there is one of Layne. I was curious how he looked, because I had read comments by Dave Jerden saying he looked pretty bad in he past. He didn’t look super healthy, definitely not like he did when AIC started out, but he didn’t look horrible either. He looked like drugs had taken a toll on him, but not as bad as I had pictured from all of the stuff I’ve read over the years. Too bad they didn’t record more songs during those sessions. It is sad we didn’t get to hear more of Layne’s amazing talents later on too. Thank you HML for that info about Layne. I checked it out right after I read your post. I also check in on the Grunge report every now and then. I was happy to see that photo of Layne! He really doesn’t look so bad. I’m wondering why is there only one photo of Layne? What they say about how Jerry yelled at him made me really sad and Layne’s reaction to that is even worse. Do you think that part is true? 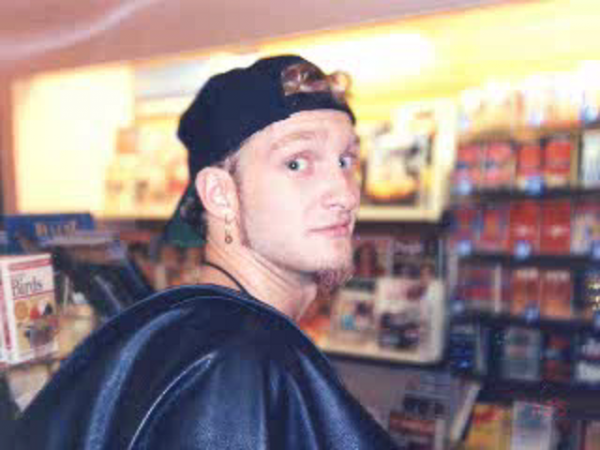 Honestly, I have no idea why there is only one picture of Layne. There could be any number of reasons. As far as Layne and Jerry, I would bet there was tension of the same kind they had since being on hiatus from touring. They were both pretty involved in their own addiction stuff, so I am sure that didn’t help whatever tensions were between them. I am only guessing though. Barb or Darin would probably have much more knowledge about it. I just thought it was cool to see the pictures and add some pieces to the overall AIC story. We named our first child Astrid Layne, and our son Achilles Layne in rememberance of Layne. I read elsewhere on the Internet that two unreleased songs by Layne will be in a movie coming out, called “Grassroots”. I hope they are from his later years. I know there are rumors that he still worked on his music in his condo. Do you know if he really did record stuff in his later years? Do you think his estate will ever release any of his later art or music if it exists? Did he leave any of that stuff with Demri from the times they lived together? I love this site…and I’ve just found it! Really good stories and memories thanks Barbara, it’s nice to keep their memories alive…Layne is probably my favorite rock singer…of all time! and nothing will ever replace him. Did they have an open relationship? This website is amazing. Loving Layne's songs and voice as I do, I can't help but be interested in the woman he loved. I hope the new pictures and personal stories keep coming, I can't get enough of them.